Lan Yun (blue cloud) is a forest guardian spirit who hails from the primeval forests of Sichuan, China. She is very young and naive as far as forest spirits come; as such, she is trusting and generally sees everybody as a potential ally until proven otherwise. 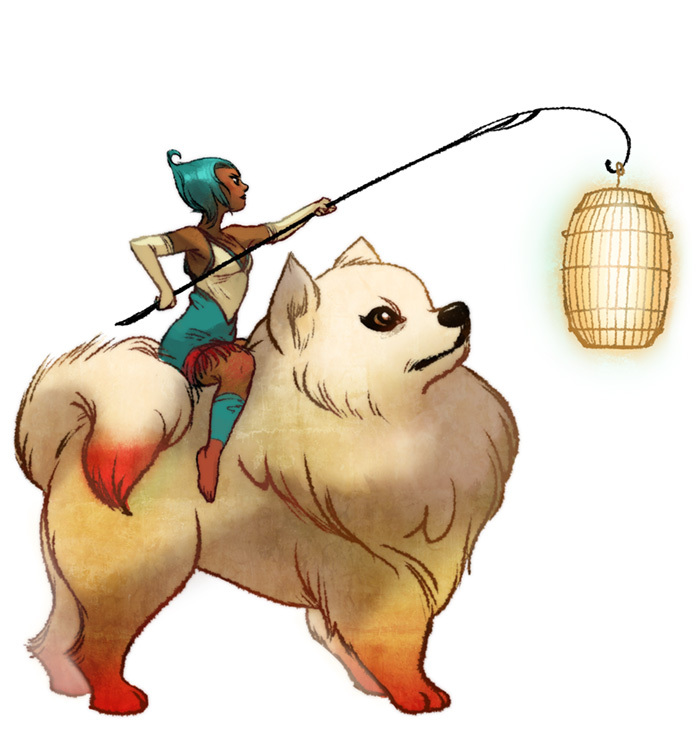 She travels across the continent of Asia with her trusted guardian Bei Feng (northern wind), an energetic wind spirit who takes the form of a Japanese Spitz puppy. They are an inseparable. Bei Feng has the ability to generate powerful wind-based attacks, such as turning into a hurricane, or creating high waves over water.